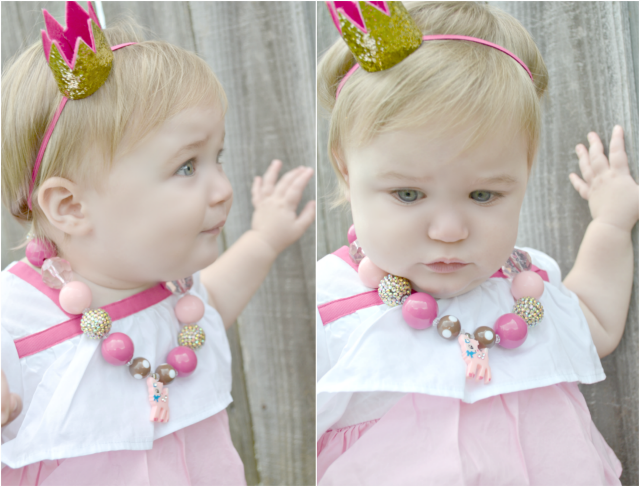 Fawn Over Baby: Birthday Crown Headband By Ava & Paislee: Review + Giveaway! 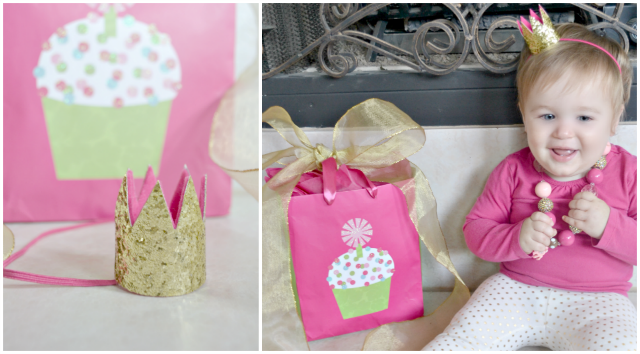 Birthday Crown Headband By Ava & Paislee: Review + Giveaway! Hello friends! This is an exciting week for me and my little McKenzie. We are gearing up for her Big O-N-E milestone this Friday, October 25th! I can't believe Kenzie's 1st birthday is already here. I mean I've been counting down and documenting each month in excitement, however now that it is finally here, I can't help but get a little teary eyed. I swear it feels like just yesterday we were driving her home from the hospital in Anchorage, Alaska. Where did the time go? I have a feeling I will be that mom crying while singing "happy birthday". I know, I'm such a baby (no pun intended). Though I may have a few "mommy moments" this week, I have had so much fun brain-storming and now planning her "semi-festivity" for this weekend (more on that topic later). 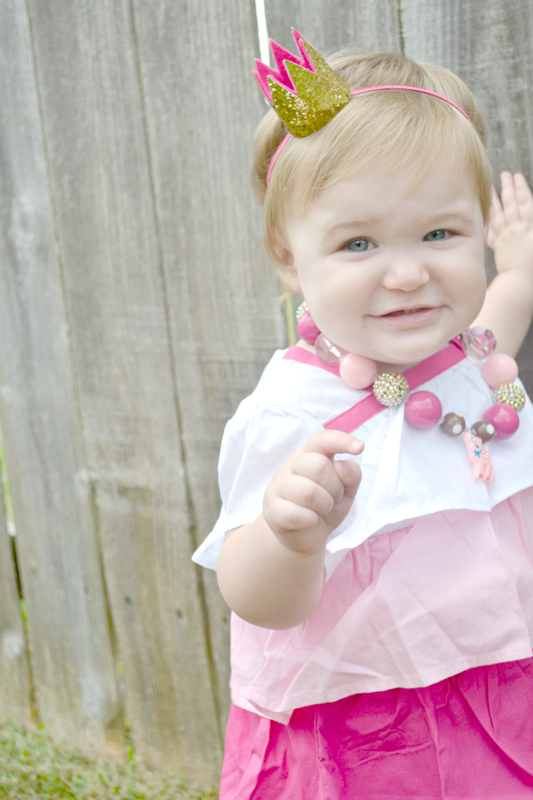 The first thing that came to mind,when thinking about Kenzie's birthday,was her 1st birthday outfit and accessories. Every birthday girl needs accessories, right? Well, I found the perfect little hair accessory that is the epitome of a girly-girl celebration. 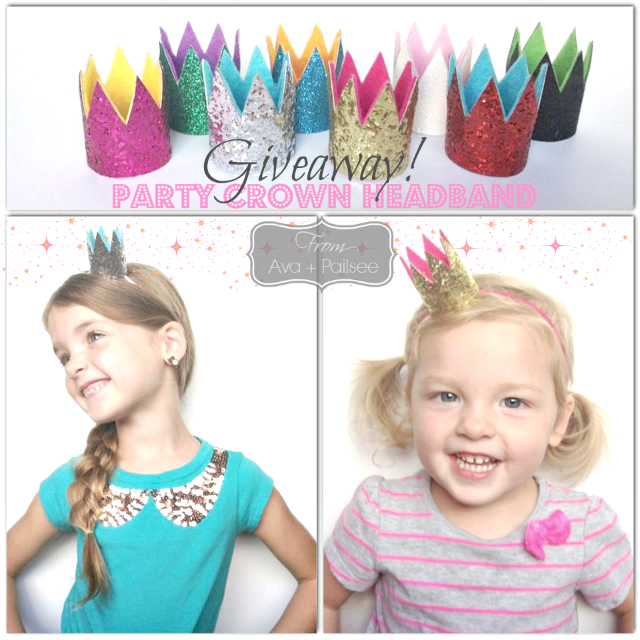 I'm talking about the fun and fanciful "Party Crown Headband" from Ava & Paislee on etsy! Owner and fellow mommy, Linzy Herron hand-makes these adorable little sparklers in a variety of colors as well as other uniquely designed accessories for everyday wear, special occasions, gift-giving, party favors and photo session prop. 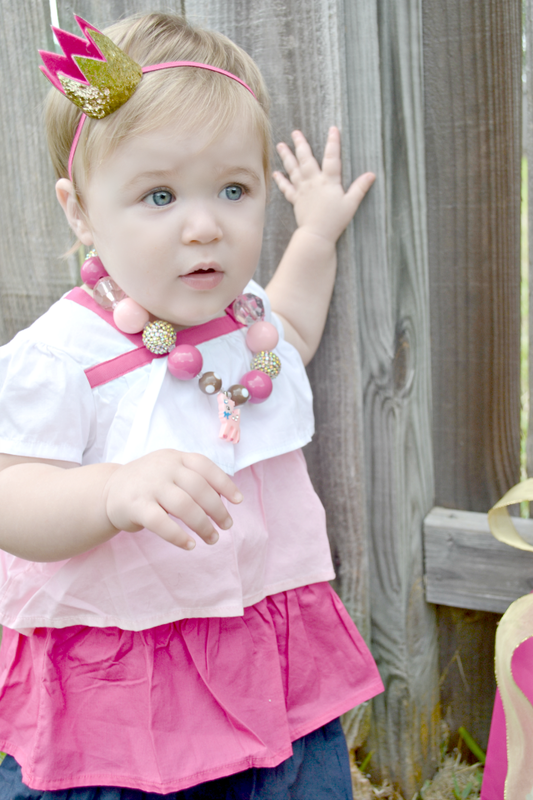 Today, McKenzie is wearing one of the fabulous Ava + Paislee Birthday Crown Headbands in Gold and Pink. The wonderfully crafted mini sized crown is attached to a thin headband making it lightweight and extremely comfortable for her to wear. Lately, Kenzie has not been a big fan of headbands. I was so worried that she would begin yanking or pulling at it as soon as she saw it coming her way . To my surprise, she was perfectly content and not even aware that she had anything on her head at all. She was able to crawl, attempt a few steps and fall, pull back up and the crown didn't budge. I have to say that this lovely little crown head piece has my BIG stamp of approval. It is the PERFECT accessory for our mini royals and it adds that sweet touch of sparkle that will make every little girl shine! Today, Ava + Paislee Would Love To Help Your Little Sparkle on Her Big Day by giving you the chance to win a FREE Birthday Crown headband from their Glitter Collection! Feel Free To Share This Wonderful Giveaway To Fellow Mommies (& Daddies). Winner Will Be Selected At Random and Announced On Our McKenzie's Big Day, Friday, October 25th. I agree Whitney!! They are absolutely PERFECTION! I just can't get over how Kenzie did not try to pull it off! 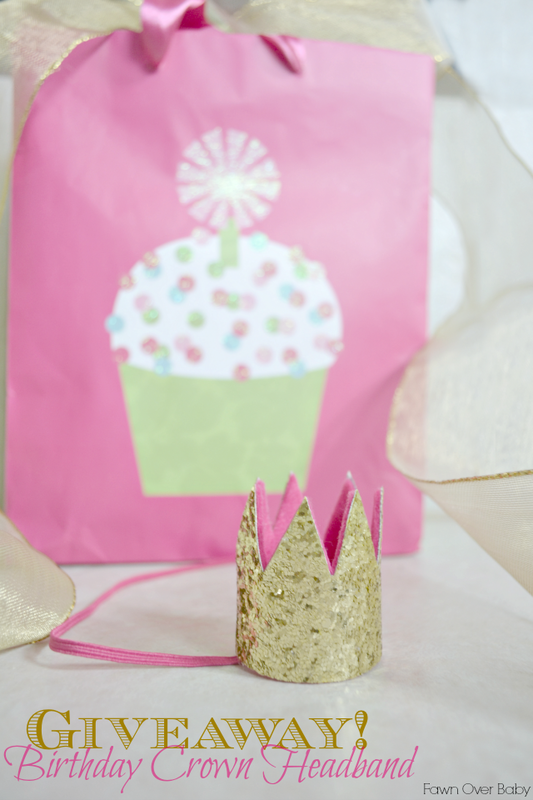 This crown is going to be perfect for her cake smash session this weekend!! cuteness - love the gold one! Thanks Caroline!! Yeah - this pink is so fun!! The pink accents the gold perfectly! These crowns are adorable; I love the gold/pink crown. These would be perfect for cake smash sessions; I wish we could have one for ours; except our little girls session is this Wednesday. But this would even be perfect for the day of her birthday in November; fingers crossed! Awwww - this would be the perfect accessory for your little's B-day!! Thank you so much for entering!! I shoot one year olds often and I think this is the perfect addition and it just completes the pictures for sure. What a honor it would be to win one. Thank you for this chance! Blessings to you and your beauty! Thank you for entering Marcy! I would love to see one of these little cuties in your photo sessions!! Thank you So Much Laura!! You are the sweetest! I'm so glad you enjoy them as much as I do! Even before I had Kenzie, I had a blast browsing through all of the fun baby blogs and website. that pink glitter crown is to die for! Kenzie looks absolutely adorable in her crown headband. I never would have even guessed that she didn't normally like headbands (: I'm heading to the birthday party of a little one soon, and I definitely plan on making some similar headbands as a party favor now. Thanks for sharing! Hi Melanie!! Yes, it was so much easier when she wasn't sure how to take things off, ha ha! 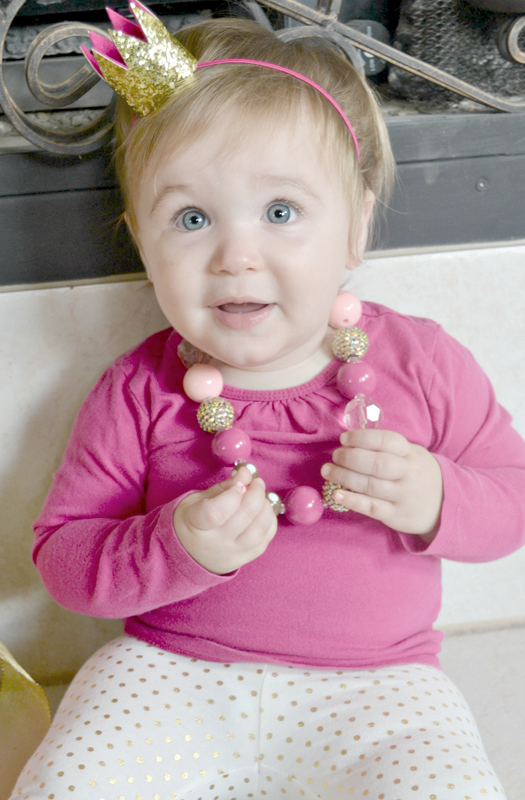 Now that she has the hang of it-she loves to grab and pull at anything I put on her, necklace, bow clip and headbands :( - except for this one! YEY! lol! How adorable & thank you for the giveaway, more so for introducing me to another shop that I'll be spending too much time browsing ;) Loving the white and pink or the gold and pink - so cute! How cute is that headband! Happy birthday McKenzie :) I know what you mean about first birthdays. They are such bittersweet moments. We just celebrated our twins' first, and to my surprise I wasn't as emotional as I thought I would be on the actual day. All the days surrounding it are a different story!